Slovenian capital is full of culinary, historical and cultural treasures. However, amongst them, one particular gem shines out. The wine offer that surprises at every step. They say that Slovenia is truly an exceptional country, as it has so many different wine regions, each with its own varieties and specialties. You can taste them all in Ljubljana, at the crossroads of diverse worlds and landscapes and in the “City of Vine and Wine”, a name the capital was awarded by Internationale de la Vigne et du Vin, the international wine association from Paris. When congress guests are looking for a perfect Christmas gift either for themselves or for their congress colleagues, they certainly should get a wine tour named Ljubljana Wine Experience. The Ljubljana Wine Experience takes visitors by funicular up to Ljubljana castle, where they have the opportunity to see the castle vineyard, which is otherwise not open to the public, where there are more than a thousand vines. The tour then continues to the old town where visitors, with the help of a wine connoisseur guide, learn about and taste wines from three wine-growing regions. The discovery of the richness of Slovenian viticulture is accompanied by regional snacks that perfectly complement the whole tasting experience. After the castle experience, it is time to go back to the old town and to the Movia cellar, where you will have the chance to learn about and taste wines from the Primorska region by the world-renowned Movia brand of wines, which will impress you equally as the best restaurants around the world would. The Vinoteka Movia wine bar and shop offers wines made by one of the world’s best wine makers – The Movia Winery where wine is made without filtering or fining. In 2012, the Movia Winery was listed among the the American Wine&Spirits magazine’s top 100 wineries in the world for the sixth consecutive year. Its wines have been listed among the year’s best in four categories: Sparkling Wines, White Wines, Red Wines, and Macerated Wines. Another wine bar that a congress guest should not have missed when meeting in Ljubljana, is the Wine Bar Šuklje. 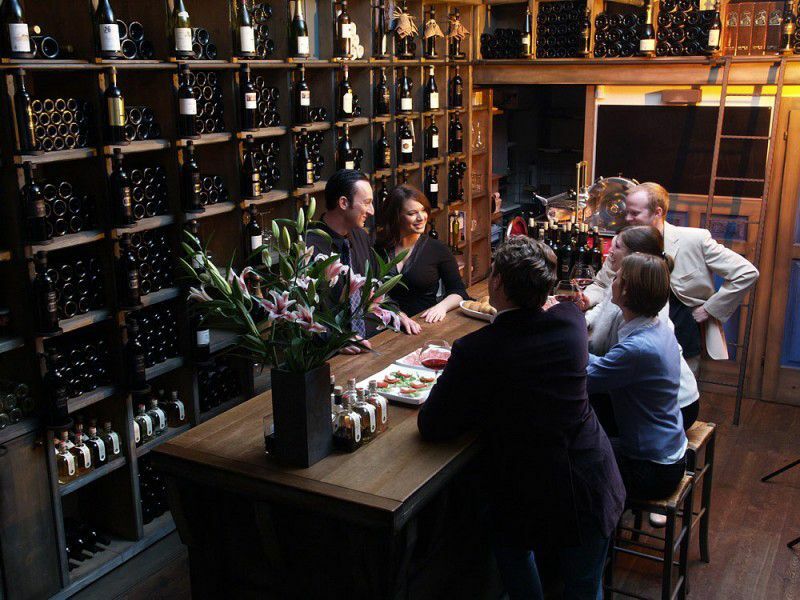 This wine bar, located in an old bourgeois villa on the river bank, offers more than 300 different types of wine from Slovenia and all over the world. Their speciality is the so-called »Vino Music Mood« according to which guests are offered a wine which reflects their music mood. Either the guest is up for some easy pop or some bold metal, there will be a wine fitting every music preference. The Wine Bar Šuklje also holds monthly changing of the wine card per glass (which contains 30 labels), so by every visit it is possible to try something new. For making the visit even more exciting, try one of three wine flights or check your knowledge with blind tasting. It is clear now, right, that Ljubljana is more than just culinary, historical and cultural metropolis? Indeed, its possibilities expand from the castle vineyard, through unfiltered wine being one of the best in the world, and all the way to the Vino Music Mood. Meeting in Ljubljana goes, without saying, hand in hand with wine tasting, or else a congress guest can not say he/she has actually felt Slovenian heart.